Lord of Ajasa is a musician who keeps hold to the traditional language and flow while singing hip hop. That is why his blend of...music has earned him wide acceptance. He spoke with YETUNDE WILLIAMS on what makes him thick. Have you faced any challenges being in music so far? I have had lots of challenges along the line. While I was growing up as an artist, there were challenges in the area of finance and support. You need money to run things and go about things. You want to do a demo, book for a session in a studio, and these things cost money. You need to promote your work, do your video because record labels are not ready to sponsor you when you are not known. So, you have to get yourself known before they can support you and, how do you do that? You have to sponsor your promos yourself, so you have to look for money to do all these things. These are the challenges we face. Then, after being a star, you have to live a superstar lifestyle. That's another challenge. Money is very important for an artist especially when you are not well known. Another challenge has to do with the competition between artists whereby there are a lot of artists out there, so you really have to work hard to make a mark in the industry. I work in different studios. Right now, this is K.Solo's studio. I go to I.D Cabasa's studio which is my studio. I meet different artists with good names and everyone is struggling to make it there. When you listen to another artists song, you will realise such artist is good and you as an artist need to go back to re-arrange your own song, so all these are the challenges we face. Can you let us into your background? I schooled in Aquinas College Akure for my secondary education, thereafter I went to Federal Polytechnic Ado-Ekiti to study Land Survey. After my HND, I didn't go for my youth service, I just switched to music. I am from a family of five - four boys and a girl. I am the fourth child, I lost my father when I was eight years old, so I didn't grow up with my father being aroun. My mum has been there for us ever since. How would you assess Nigerian music? I will say kudos to Nigerian music right now. We are already there, everywhere you go now or clubs, they play Nigerian music, even in London, my fans used to tell me how people appreciate Nigerian music. I will say we have made a very big impact in the international scene for Nigerian music. The level we are right now in Nigerian music is incomparable and the sky is the limit for us. What will you say you have achieved? I thank God for my life, for where I am today. It has not been easy since I came out with my first single, Origbo. Ever since then, I have been growing from strength to strength and I thank God, this is my third car, and am building my house right now. I might not be all that rich, but am okay and I can afford whatever I want. What should your fans expect from you this 2009? I just dropped another single, Omo Igboro featuring Pasuma which is going to be a boom. I can't wait either - it's a new concept entirely because this is a new Ajasa in another new dimension. People know Ajasa as a rapper, but this time around, am not rapping but singing. What advice would you give upcoming artistes? Upcoming artists should work very hard because the competition is getting stronger. You have to really work hard and believe in yourself, if you know you are not up to that level,don't venture into it and waste money. You have to be up to the task and be determined to make it in the industry, once you are unique and have something special or something you believe will make a mark. Then, go ahead and do it and pray God to be with you. What does your stage name, Lord of Ajasa mean? Ajasa means Flavour. So, when you hear Lord of Ajasa, I mean Lord of Flavour! What is that one thing you wish you ever had? That's kind of tricky, I will say I wish I was taller. I have produced three, which are: Otigbo, second turning by the right is my second album while Third Avenue is the third album which am working on right now. Am not married, but have got a fiancé. How do you cope with your female admirers? It's not easy o! No be today? I have been used to it. Ladies call me to say all sorts of things like: 'Ajasa I love you' and they will hang up. Or, 'I like your style.' I can't take all these things personal. I have to be careful and I really appreciate them for the love and support they have for me. If you have to change anything about yourself now what will it be? I will change my rough life, because am not a tidy person and I write songs a lot, so I tend to throw my scripts around. What inspired the collaboration in your single: Le fenu so ? 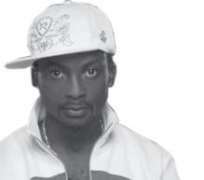 I inspired the collaboration, I have always had it in mind to use 9ice in my second album as well as Pasuma. I actually wanted to collaborate with Pasuma in that single, but he was not around. So, I thought of 9ice. He is the reigning thing in town right now and he has been my guy. I can't call 9ice today and he won't answer me. 9ice can do better because we are hip hop guys, but for that single I wanted to feature a Fuji artist in it but I thank God today because I do not regret the fact that I used 9ice. I never knew it was going to be a hit song.